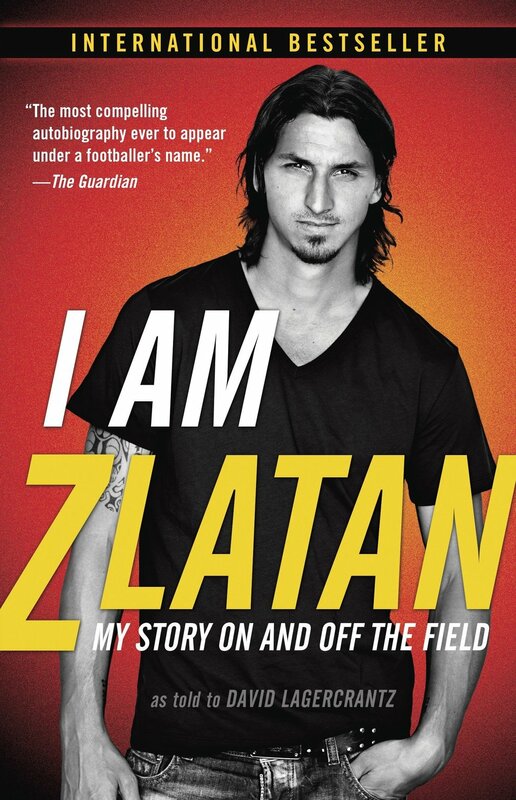 I just finished reading I am Zlatan: My Story On and Off the Field By Zlatan Ibrahimović as told to David Lagercrantz. The fact that this book sold over 700,000 copies in Sweden alone, I knew the book would be good. It gave quick details of the major parts of his career. This includes, transfers, silverware, big goals, big wins, unfortunate loses, debuts for new clubs, fights on and off the pitch, and important games. The book started off with a back story of his first professional team in Sweden. Then it went to his childhood. He grew up in a bad part of town in Sweden. He would steal bikes all the time and went to a road were all the nice cars drove by. He walk to practise or use the stolen bikes. His dad didn’t drive him he was too busy drinking. He grew up poor but he said that changed him. This book was great. It made you feel for Zlatan and imagine what growing up poor in Sweden would be like. He didn’t have it easy. Players like Messi got their big break at a young age. But Zlatan had to work his way thru the bottom leagues to become one of the best strikers the world has ever seen. I would give this book 9.6/10. It was very well done and had barely any boring bits. I would recommend this book if you like soccer, and even if you don’t - I think you should still pick up this book. The storytelling is very well done and the points are quick but explained well.